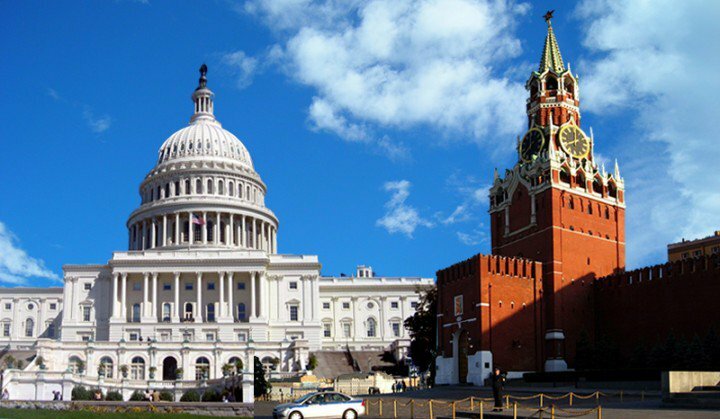 In spite of the numerous sanctions imposed on the Kremlin since 2014, such practice does not seem to be effective in terms of the influence on Russia's foreign policy - at least the way some media put it. Deutsche Welle released the article on the issue. 'While the Russian economy contracted in 2015 and 2016, it has shown growth in 2017, and most of the previous slump was caused by a drop in oil prices. Moreover, many Russians judge the country's relatively stable economic performance against the memories of the disastrous crisis in the 1990s, before Vladimir Putin took power. By imposing sanctions, the EU and the US aim to punish Moscow and score a change in its policy over the annexation of Crimea, the fighting in eastern Ukraine, the alleged election meddling, and — most recently — the poisoning of Sergei Skripal. There, too, they appear to be ineffective. Not only has the Kremlin held its political course since 2014, but the sanctions have actually helped Putin strengthen his grip on power, experts say', the article says. DW confirms that the pressure of big business is 'clearly felt'. According to to Moscow-based German-Russian Foreign Trade Chamber, 94 percent of surveyed firms with interests in Russia would like to see the sanctions lifted.